Hi Everyone,It is good to be back. 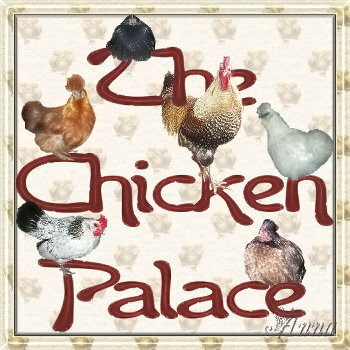 Yep, I used to hang out here when I had chickens and had a board called The Egg Plant. Well, I have chickens again and feel like a beginner. Surprising how much you can forget in a short period of time, but it's all coming back. I think this time I'll settle for posting on Anna's board and not try to keep up with several or run my own again. Anna always runs a top notch board with interesting forums, so, I'm sure I'll be very happy participating here. Hi Deb, and thanks for the welcome. That's a very nice photo of you. I tried posting some info in my profile, but I must be doing something wrong. Each time I return to it, it's all gone. Maybe you can shed some light on what I might be doing incorrectly. If you go into your profile to edit, there are tabs going across the top to go to the various areas. However, what you don't know, until you scroll all the way down, is a save button to press after making your changes to that tab and prior to moving to the next tab.